Baby boomers who are caring for aging parents have many considerations in their caregiving plan. As proposed changes in healthcare and social security loom on the horizon, seniors may lose access to programs and resources that provide economic relief and healthcare coverage. If you’re strategizing how to best care for your aging parents, consider which programs your parents currently benefit from, and alternative options if these programs undergo changes. Below is what you need to know about potential changes to programs which affect the senior population, and how you can be prepared. NPR estimates that hundreds of thousands (and possibly millions) of seniors are living malnourished — in their own homes. And in long-term care facilities, as many as half may be malnourished, increasing the risk for developing illnesses and becoming frail and more prone to injury. 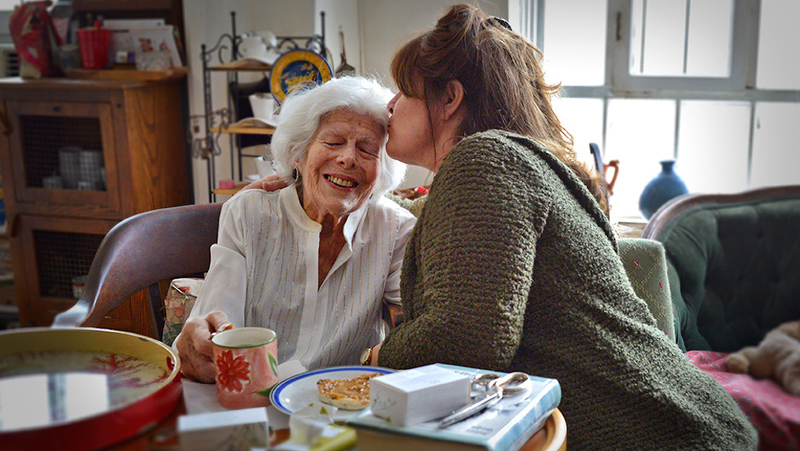 This reality is what makes food-delivery programs so beneficial for so many seniors. But if your older parents currently benefit from the senior food-delivery program Meals on Wheels. What you can do: There are many in-home meal delivery and drop-in chef programs that can suit the needs of your aging parent. Though these options may not be as affordable as Meals on Wheels (which is provided on a sliding-fee scale based on your parent’s income) you may find an affordable program that allows your parent to stay at home and still receive consistent, nutritious meals. You can also make it a priority to help your parent plan and prepare meals throughout the week to make sure they’re eating nutritiously. If standing on their feet for long stretches of time or lifting heavy soup pots just isn’t feasible, help your parents cook meals that they can freeze and simply microwave throughout the week. Healthcare costs are one of the most expensive costs of getting older. A 65-year-old healthy couple can expect to spend $266,600 throughout their retirement on Medicare premiums alone. And this estimate doesn’t include out-of-pocket expenses or long-term care costs. If your parent is covered by Medicaid (eligibility begins at 65 years old) and pays premiums for Part A coverage, they will see their costs for coverage rise from $411 to $413 in 2017. Premiums for Part B coverage (which covers the services and supplies needed to diagnose and treat diseases) will also rise in 2017. Outside of Medicare, The Congressional Budget Office found that a 64-year-old could see their premium on the individual health insurance market rise by as much as 25% with the new proposed healthcare changes. Insurers would be able to charge senior plan holders more than they are now, and tax benefits would be less for seniors than they were in Obamacare. Based on the Social Security Administration’s 2015 report, social security funds will be drained by 2034. After that, the system will only be able to pay 79% of current benefits from ongoing tax revenue. According to Brannon T. Lambert, retirement expert at Canvasback Wealth Management, future proposed changes to try and mitigate draining funds include increasing the retirement age, limiting benefits to wealthier Americans, and changing the way benefits are calculated. What you can do: A Health Savings Account (HSA) is a way for your parent to save money for medical expenses in retirement. Helping your parent open an HSA may be the ticket to managing medical costs in retirement in the face of dwindling social security and the potential rise of health care costs. An HSA is a tax-advantaged savings account that your parent can use to pay for qualified medical expenses. As long as your parent is enrolled in a high-deductible health plan, they can qualify for an HSA. You and anyone else can contribute to your parent’s HSA, and your parent doesn’t have to choose from a network to use their HSA. They can keep seeing their favorite doctor or specialist and use their HSA to pay for expenses like medication and procedures. HSAs can even be invested in assets like real estate and private loans to try and grow the account.